Watermelons are on a roll – literally. The juicy cucurbit’s popularity continues to grow in produce aisles, on restaurant menus, and in consumers’ homes. To support the domestic season, the National Watermelon Promotion Board (NWPB) is activating promotions to engage three core audiences: consumer, retailer, and foodservice. Below, the Winter Springs, FL-based organization outlines campaigns and promotions it’s launching to build demand for the increased watermelon volume and provide support to partners in the retailer and foodservice industries. People might be surprised to know that the majority of watermelon is not consumed as a side dish at a summer barbecue or part of a refreshing cocktail, but as a snack according to 2017 NWPB consumer research. To get consumers to step up their snacking game, NWPB is introducing a “Watermelon On the Go” campaign theme this summer. The campaign will premiere on Watermelon.org in time for peak season with a hub of content and a series of videos with simple, portable recipe ideas. NWPB survey results show 87% of consumers say they are more likely to buy watermelon knowing it is healthy and nutritious. Helping to enforce this, the group is engaging with NutriSavings, a digital nutrition wellness program. NutriSavings helps employers, supermarket retailers, health plans, and food companies to join forces and get employees and their families to shop, cook and eat healthier. In addition, returning for the 2018 domestic season is the NWPB retail display contest, which is now celebrating its 10-year anniversary. 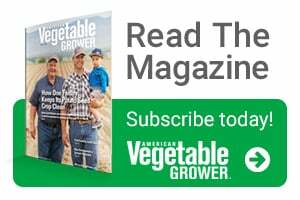 Open to all retail chains, independent retailers, and commissaries, retailers create displays during July and August that showcase the many benefits of watermelon. Potential winnings include more than $10,000 in cash and prizes. More information and details can be found at Watermelon.org/Retailers. Watermelon has a growing presence on the menus of restaurants across the U.S., experiencing 27% growth in the past four years, according to 2017 Datassential MenuTrends Research. As part of its growth strategy, NWPB plans to partner with more hotel/entertainment foodservice establishments. Hotels with on-site restaurants are undergoing a renaissance to improve their menus and offerings to better compete with other restaurants in their area. In 2018, NWPB also is commencing projects that will take watermelon promotion beyond summer. These initiatives include cutting and yield research on mini watermelons, which tend to increase in popularity during import season, and “Watermelon Year-Round: The Story” that aims to connect audiences to watermelon growers and their stories.